Can you test rca output somehow? 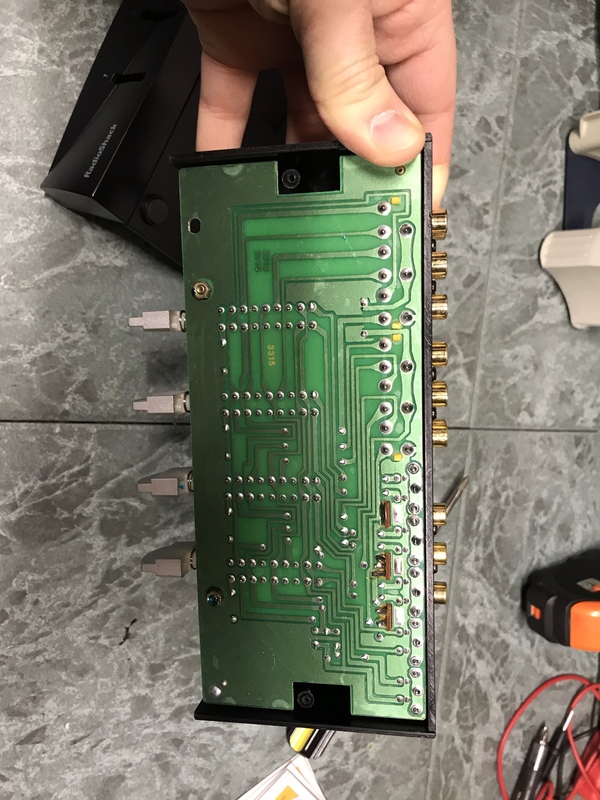 Discussion in 'Audio Hardware' started by aphexacid, Apr 15, 2019. I have an older switch box that I’d like to use to hook up another CD player, but I’d like to know IF and how much signal I’m losing by doing so. I’ve tried looking around to see how I’d be able to do it, and can’t seem to do so. I am not very savvy when it comes to tinkering with electronics, repairs, inner workings etc. I think you’ll need some pretty specialized equipment to measure any signal loss. 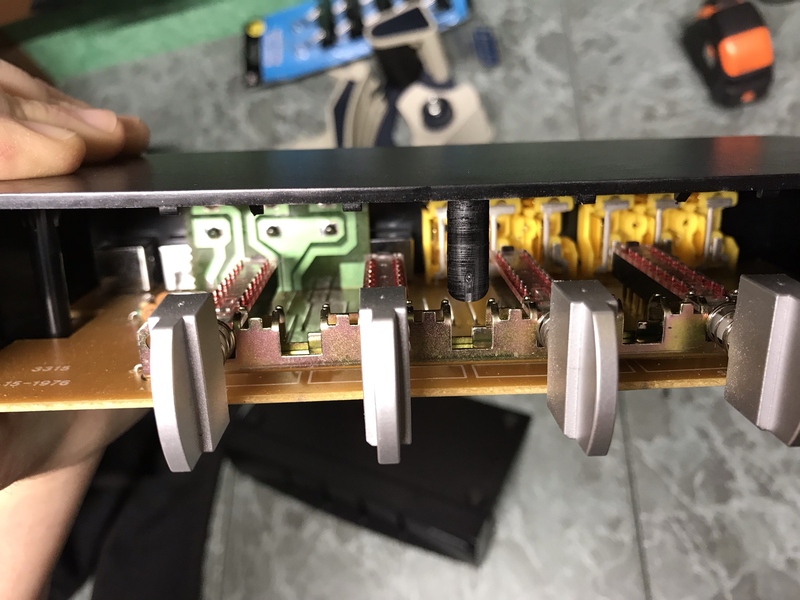 Older switch boxes are usually totally mechanical so as long as the terminals inside are clean, most measurements will be nearly identical because your essential experimenting with a different kind of interconnect. Unless this switch box has a circuit board, your basically trying to measure the equivalent to a banana plug vs bare wire. If your just curious for the numbers maybe ask a repair shop if they have a tool that could read it for you. If your concerned with quality, just listen to your system and decide if it degrades the signal too much for you’re taste. patient_ot and timind like this. Internally those guys literally just move a piece of metal from one RCA to the other when you change the input. Open it up and make sure there’s no corrosion on anything. If it’s clean inside you probably won’t really notice any quality loss unless you have an extremely highly resolving system. I opened it to see what’s going on inside of it, here are a couple of pics. It apparently does have a circuit board. Is it a piece of crap basically? I’ve had it for a LONG time. What do you think? There should be no "signal loss." I've had somewhat similar devices in play in the past. About the worst that can happen is that you can get some faint signal leakage between channels. Easy to check. Play something on the not-selected input and listen to the selected input with nothing playing. You might hear some of the not-selected source through the selected one. If you don't - great. If you do then just make sure only one source, whether selected or not, is playing at any given time and there will be nothing to leak. Sometimes this effect happens more, if it does, on adjacent circuits - so if the selector has four inputs use the two that are farthest, physically, from each other. Great thank you so much for the explanation, and passing on the knowledge. I really appreciate all the help from all. I’ll report back when I get some time to put in the tap deck and reconfigure a few things. Thanks again, these forums never let me down full of so much knowledge and great people.